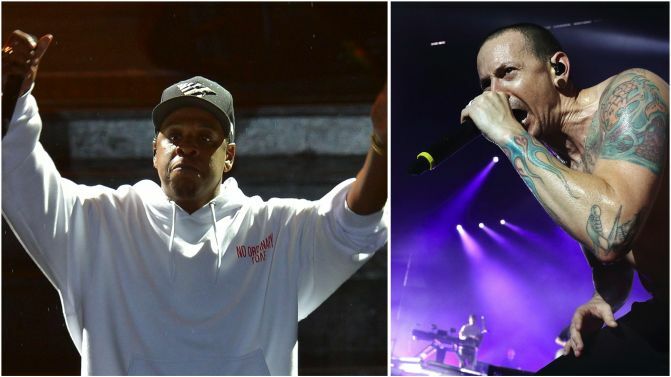 Rapper and Linkin Park collaborator JAY-Z has paid tribute to the band’s late frontman Chester Bennington during a performance at V Festival in Staffordshire, England. “Can you guys light it up tonight for Chester, Linkin Park one time tonight?” JAY-Z can be seen asking the crowd in the video below. JAY-Z goes on to perform ‘Numb/Encore’, a collaborative track he and Linkin Park released on the band’s 2004 album Collision Course. Chester Bennington died in July, and has since been the focus of other musical tributes from the likes of Coldplay, Machine Gun Kelly and Stone Sour.